In our post on Woshite World, https://woshiteworld.wordpress.com/2016/06/01/894/, we mentioned a mystery of an alignment of shrines that has been proposed at Isanagi Jingu on Awajishima, in Awaji-no-kuni. We first encountered it here, Onogoro and Kuni-umi Myth. Then we received much information from Hitoshi Uchiyama. We are grateful to him for sharing the results of his research. There is a theory that all the “Awa” place names are related in some way. For the sake of discussion, let us disregard the kanji rendering of “Awa.” There are several different kanji and they may be totally irrelevant to the reasoning of the story. We must remember that Awa is a word from Isanami/Isanagi times, long before kanji was introduced into the written language. That is to say, “Awa” would have been written in Woshite moji with the Woshite syllables for “A” and “Wa.”　In hiragana, it is written あわ. Awaji. We have noted that Isanagi Jingu on Awaji island has a monument with a map of shrine alignments called Hi-no-michi. Hi-no-michi means path of the sun. This shrine is ichinomiya of Awaji. Note that Awaji means road to Awa. Awa-no-kuni. There are two Awa-no-kuni we’ve mentioned so far. The original at Oumi from the time of Isanami and Isanagi. The other is Awa-no-kuni on Shikoku, adjacent to Awaji (now Tokushima, home of the popular awa-odori). There is a third Awa in today’s Chiba-ken. 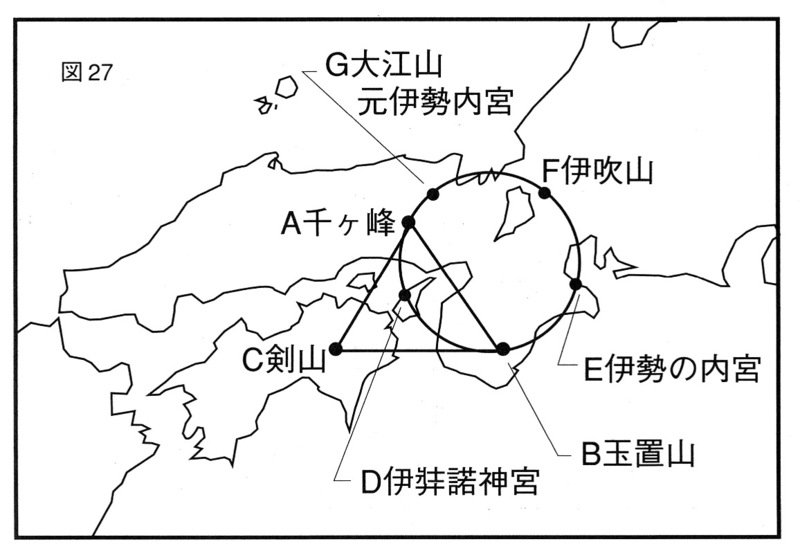 And there is an indirect connection between Kumano and Awa in Chiba through some place names in common, such as Shirahama and Katsu-ura. Awa in Hida. Norikuradake, Mt. Norikura, in Hida was once called Awa-dake, Mt. Awa. And, at the border of Hida and Shinano kuni (now Nagano), there is Abo-toge Pass, written with kanji that can be read “Awa-toge.” This makes four places where Awa is found. Miyazaki. Now, let’s introduce the (possibly) unifying element, Jimmu Tenno. He bore the name Kamuyamato-Iwarehiko in the seventh century BCE, a sixth-generation descendant of Isanami and Isanagi. He unified the land of Yamato beginning from Miyazaku, Kyushu. The Miyazaki area was called Himuka or Hyuga. Iwarehiko developed plantations in different areas. Fusa-no-kuni is in present Chiba-ken. During the campaign, Iwarehiko was also in Osaka and Kumano. 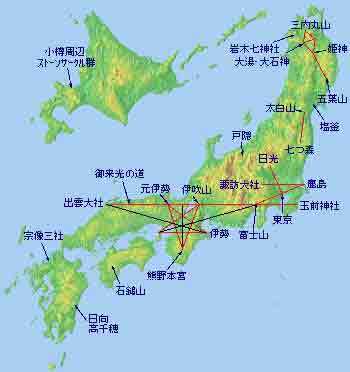 The similarity of cultures can be noted among Hyugo/Miyazaki, Awa/Shikoku, Kumano (east coast of Kii), and Awa/Chiba. These are all places visited by Iwarebiko. One can surmise that he is possibly the unifying factor among them. A look at the southern coastlines of Honshu, Shikoku and the eastern part of Kyushu — all places where he has been — can be convincing. Alignment Theory. This reasoning has led some to believe that perhaps Iwarehiko is the one who initiated the alignment of shrines such as that on the Hi-no-Michi of Isanagi Jingu on Awajishima. The shrine’s GPS coordinates are 34.46, 134.85. This entry was posted in Ancient civilization, Hotsuma, Jinja, ley lines, Sacred sites, Shrines and tagged alignments, Awa, Isanagi on 2016/06/02 by Okunomichi. 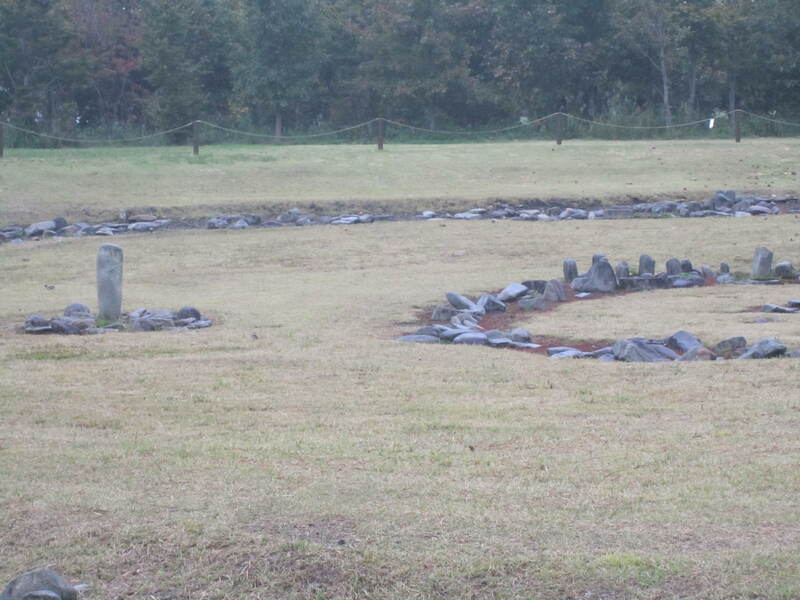 Oyu stone circles were made by Jomon people thousands of years ago. They have solsticial markers. There are two major circles. Here is the first, called Manza. Look closely at the mountain in the third and fourth photos. It is Kuromanta yama. This is the second site, Nonaka. This standing stone is surrounded by directional stones. 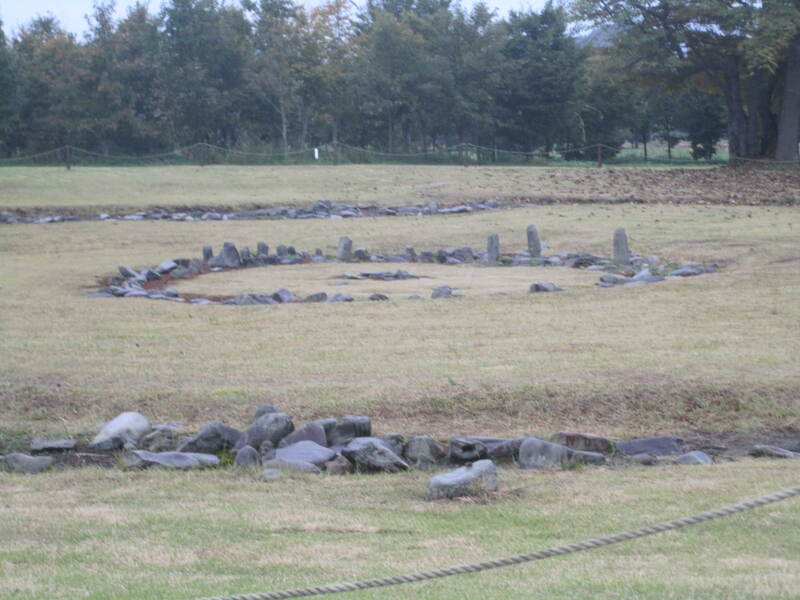 Note how the Japanese stone circles differ from the European ones. For one, the standing stones are not so tall. For another, they have this type of arrangement of stones. Do you see the cardinal directions in the photo below? This circle is said to have solstice directions which are, at this latitude, thirty degrees from east-west. Akita is near the northern end of Honshu. 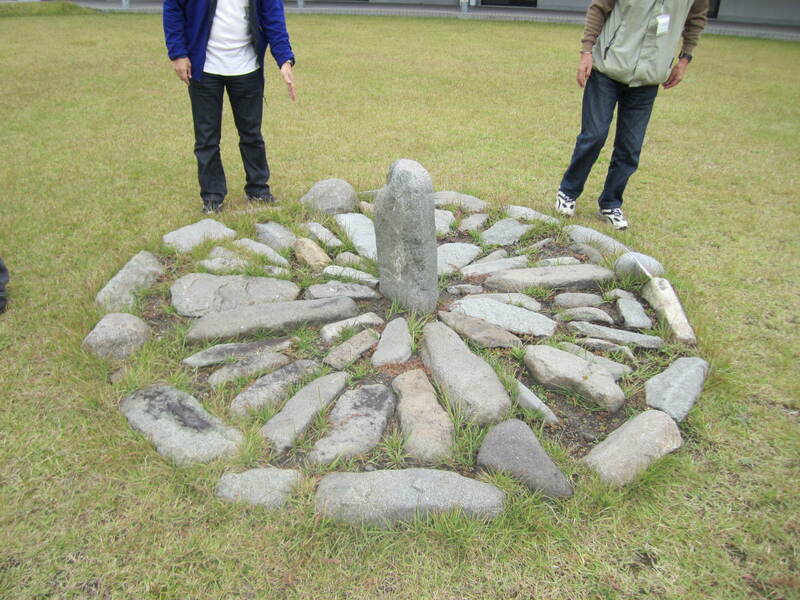 This entry was posted in Ancient civilization, Jomon, ley lines, Takenouchi and tagged Akita, Jomon, Kuromanta, Oyu, stone circles on 2013/06/26 by Okunomichi. Kobayashi Biigen is an interesting author. We will post some of his writings. Guji Kobayashi passed away a few years ago. The Author: Kobayashi Sensei was guji for 37 years. Born in Taipei in 1927, served on battleship. Attended Shinto school at Atsuta Jinja 12 years; guji at Kumano Motomiya; Omiya Jinja 11 years; Ishikiri Tsurugiya Jinja 13 years. He also spent some time in Europe but unfortunately for us, he hasn’t published in the English language. He was exceptionally knowledgeable in broad areas of sacred wisdom and philosophy, and we are trying hard to translate his works. Here is a part of the last chapter in this book. He is writing about energy lines connecting sacred places in Japan. They have something to do with how principles in the universe are reflected as patterns on earth. On pages 245ff Kobayashi shows what he terms energy lines in Figures 26 – 31. He begins with an area centered on Awaji Shima, the legendary birthplace of Japan. See Fig. 26. Fig. 26 shows a triangular alignment ABC, distance 160 km between apexes. On those mountain tops are himorogi/iwakura from 15,000 yearso ago. Additional alignments are shown in Figs. 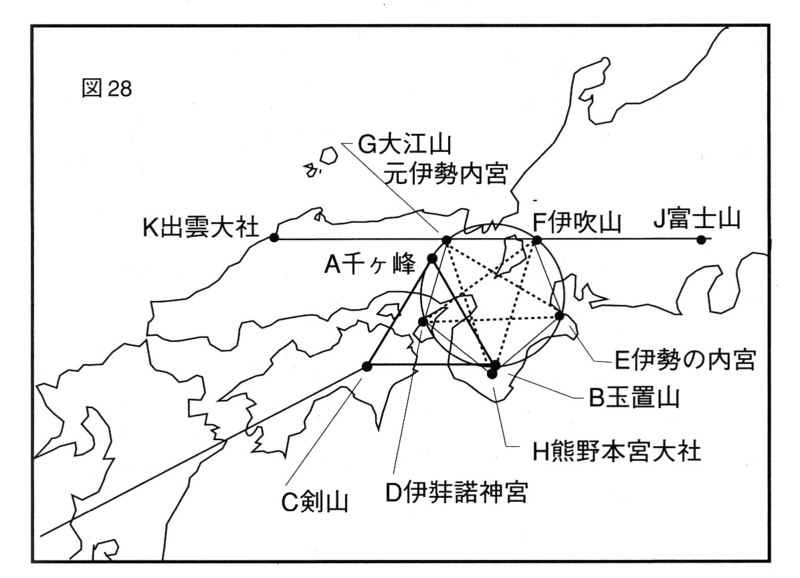 29 – 31 of his book, not shown here, with points L M N.
He mentions some names which I have not succeeded in tracking down: Nakanishi Akira, professor, who studied himorogi, iwakura; Yamada Hirokuni, shocho/manager Stock Data Systems, studied triangular alignments of shrines. 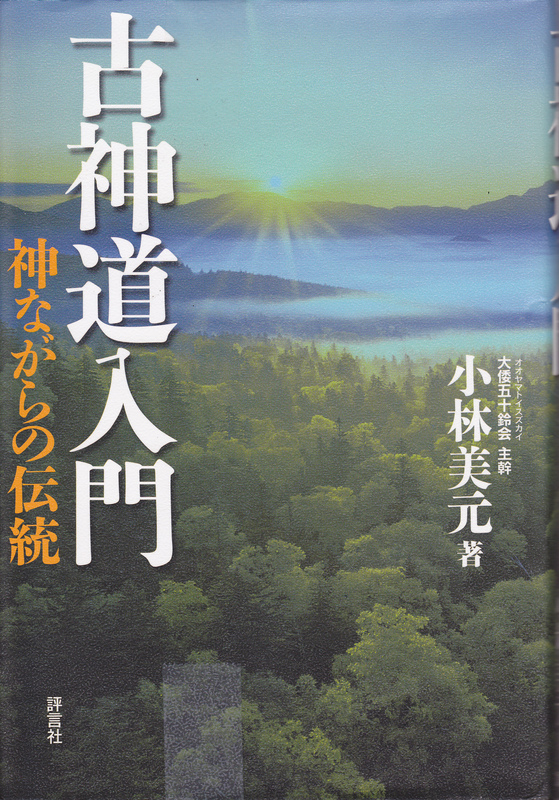 Also Yamashita Hiromichi, “Haruka naru daichi Mu kara no Yogen” published by Tama Shuppan. On p. 243, he states that we have the power to connect to energies. The ancient Japanese prevented earthquakes by praying. Their oinori saved Japan from sinking like the Mu continent. Here is a similar map we found on the Internet. 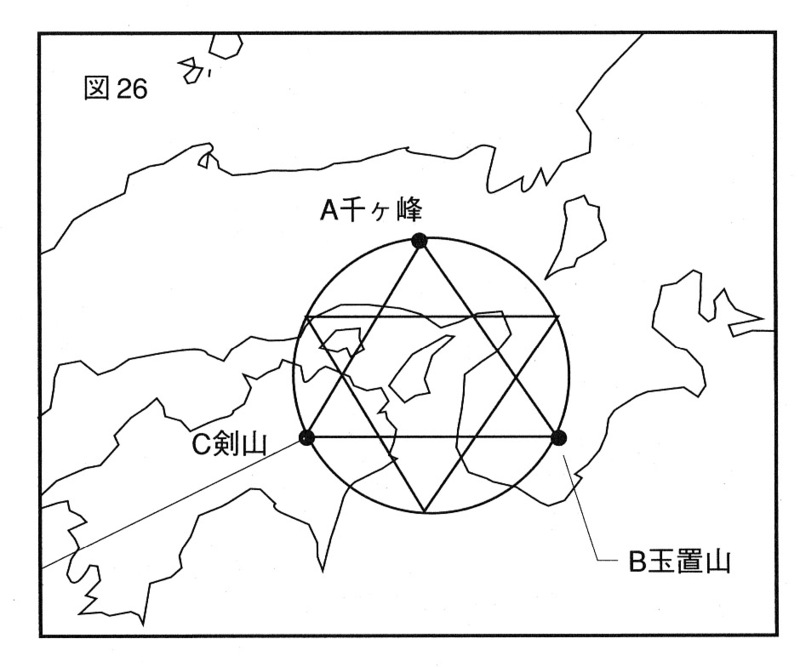 This image is from http://whowont.com/wisdom/ley-line-maps/japan-line-map.html. This entry was posted in Koshinto, ley lines and tagged alignments, Energy lines, Kobayashi Bigen, universe on 2013/06/20 by Okunomichi.